Ishita tells Bhallas that Raman changed in last few months, since they lost Adi, but Raman can’t do anything wrong with Tania. She tells them how Raman used to send his pictures with Tania to her to make her jealous, to take revenge, but he didn’t intend to do wrong with Tania. She takes Raman’s side. She tells them that Raman isn’t wrong, he is innocent and she is very much sure about it. Romi and Mihika get affected by the house problems. Romi postpones to shift. Ishita thanks him for staying back to support Raman. Romi tells her that he is staying back just for his parents, he doesn’t believe Raman. He doesn’t care for Raman. Ishita reminds him his own mistakes committed in the past. She tells him that she is sufficient for Raman. Tania asks Shagun to get Raman arrested. 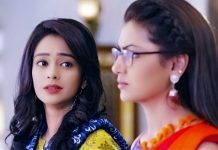 Ishita scolds Tania for having silly evidences and claiming big things against Raman. She tells Tania that the evidence won’t help her, as she has taken Raman to her house by her consent. She asks Tania to go ahead and call police. She counters Tania’s so called evidences and tells everyone that Tania has done all this to frame Raman. She doesn’t know why Tania is taking revenge from Raman. Ishita tells everyone that someone has taken advantage of Raman’s unconsciousness. She asks Tania to cook up a better story when she goes to complaint. She asks Tania to answer them, why did she take Raman home if she was not so concerned. Tania challenges Ishita that she will get Raman punished. Shagun asks Ishita not to support Raman, as Tania is a victim in the case. Ishita tells Shagun that she will fight for Raman’s justice, as she believes he is right. She asks Shagun to support Tania if she wants. Simmi and Parmeet get a shock seeing Ishita’s supporting side. Simmi tells Parmeet that she wanted to ruin Ishita by targeting Raman, but Ishita flopped their plans. She asks Parmeet to do something big so that the matters gets highlighted. She thinks to inform the neighbors and others to defame Raman and hurt Ishita. 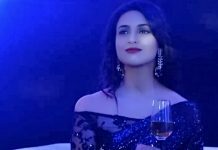 Ishita stops Raman from drinking alcohol. She asks him not to drink, as it won’t solve any problem. He feels that maybe Tania is right, he loses his senses after drinking alcohol. He doesn’t know if he has really done anything wrong. Ishita asks him not to blame himself and not doubt on his intentions, he can never tarnish a girl’s respect. She promises to find a way and prove his innocence. Raman wonders how she will be able to do this. She asks him to stay strong. He thanks her for her support. He gets disheartened when entire family boycotts him. He tells Ishita that he won’t dine with everyone, as he can see his mistrust. Ishita thinks of making Raman’s favorite food and going to his office. Raman stays stressed about Tania’s matter. He feels happy that Ishita trusts him. He goes for the important meeting, but gets troubled by a sudden protest by NGO women, brought by Tania. Fortunately, Ishita lands there at the same time and learns about the protest against Raman. She rushes to support Raman. Tania gets humiliating Raman. Raman asks Tania not to create a scene at his workplace. She asks them to get out. The women barge inside and try to blacken Raman’s face. Ishita gets to his rescue. She then realizes that Raman is getting drugged by Tania. 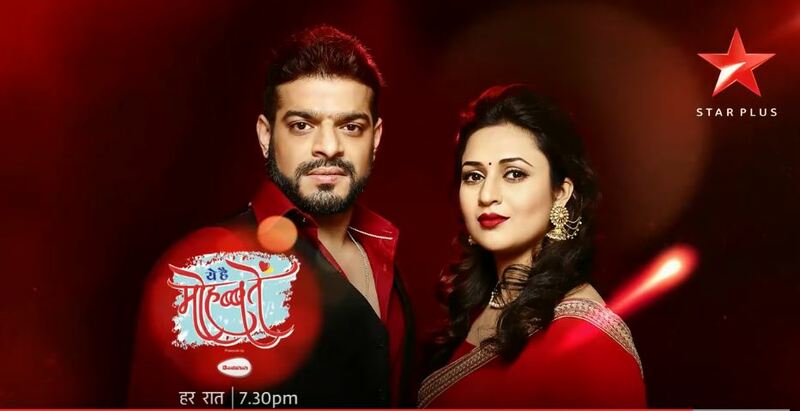 How will she save Raman? Keep reading. Nice written.. keep going.. I really like reading your updates.